While there are countless resources online available to those who are preparing or have already gone through a mastectomy, there area few that stand out. The My Destiny Foundation is one of my favorites. There is an unbelievable amount of information on this page: from lists of questions to ask potential surgeons, to information about BRCA mutations, to recommended FaceBook support groups, to tips on how to communicate the decisions you make to others, and so much more. The site is run by two wonderful ladies who have been through it all: Lisa Sousa and Kim Richardson Emery. My Destiny is an online community designed specifically for women, by women, who are at a high risk of developing breast cancer. We bring women together, provide accredited information and support, increase awareness and provide women financial, social, and emotional support that are undergoing a prophylactic mastectomy to reduce their risk of breast cancer! Visit MyDestiny-US.com to tap into one of the great online resources for women considering a prophylactic bilateral mastectomy. 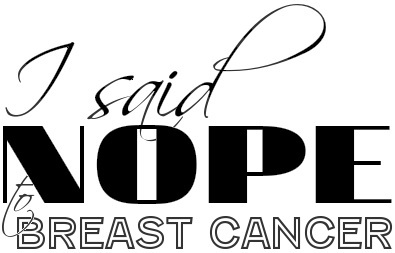 This entry was posted in All and tagged BRCA, breast cancer, health, Kim Richardson Emery, Lisa Sousa, Mastectomy, Non-profit, Online, prophylactic, Support group on February 6, 2013 by nope2BC.